Dan Roberts, AMD Patient, Advocate & Founding Director of MD Support, Inc. and the International Macular Degeneration Support Group talks about his passion for educating others about AMD (Age-related macular degeneration). He also talks about how the Ellex 2RT®, a first of its kind laser treatment for macular degeneration, can improve the quality of life for patients with AMD and offer a solution to the burden of care placed on payers and society resulting from AMD. Having retired from a half century as a teacher, author, composer, theatrical director, and musician, Dan Roberts now dedicates himself full time to helping others learn about and live with low vision. Because of his own need for support and information about visual impairment, he founded MD Support in 1995 and has since become a leading patient advocate, industry consultant, and low vision educator. In addition to heading MD Support, he is founding director of the International Low Vision Support Group, Editor-in-Chief of Living Well With Low Vision at Prevent Blindness, and resource consultant for MD Foundation. He is also a member of the Genetic Alliance and the Fiduciary Board and Patient Advisory Board of International Macular and Retinal Foundation, and he is a consultant for pharmaceutical companies, lighting manufacturers, and dealers in protective eyewear. He is the creator of the LowViz Guide indoor wayfinding application. Dan is the author of The First Year–Age-Related Macular Degeneration (Marlowe & Co., New York, NY, 2006) and a contributing author to Occupational Therapy Intervention for the Older Adult With Low Vision (American Occupational Therapist Association, 2010). He has written over 100 articles for various publications about low vision and several books specifically designed to bring the resources of the Internet to thousands of otherwise unconnected people with visual impairment. He is a graduate of the University of Missouri with a master’s degree in music education. He is the recipient of the 2004 Distinguished Service Award presented by the American Optometric Association, and his organization was awarded the National Eye Institute’s 2006 Healthy Vision Community Award for innovative approaches to vision-related health education. Dan married Christina while serving in the Air Force in 1968. They have three children and seven grandchildren. Neal Howard: Hello and welcome to the program. I’m your host Neal Howard here on Health Professional Radio and I’m glad that you could join us once again. I am joined by Mr. Dan Roberts. He is an AMD patient, he’s an advocate and founding director of MD Support Incorporated and the International Macular Degeneration Support Group. He’s here on the program to talk about his passion for educating others about AMD or age-related macular degeneration. And he’s also going to talk about how Ellex 2RT® – a first of its kind laser treatment for macular degeneration – is basically improving the quality of life for patients with AMD and offering a solution to the burden of care that is placed on a payers and society resulting from age-related macular degeneration. Welcome to the program, Dan, thanks for taking the time and how are you this morning? Dan Roberts: Well I’m doing fine. How are you Neal? Neal: I’m doing fine as well I’m glad that you’re here with us talking about age-related macular degeneration. Now a bit of background about yourself, what is that that you do? Who is Dan Roberts? Dan: Well that’s an interesting question, there’s two ways to answer that question. One of which would be to tell you that I’m a retired teacher and now works as a low vision educator and writer. But that would not be who I am as much as it would be what I do because of who I am. So I am is a person obsessed with learning and teaching, who thought at the age of 48 that he was going to be forced to give up those pursuits due to vision loss and who after suffering through a year of fear and depression, finally decided to take matters into my own hands because I had another half of my life to live and didn’t want to waste it. So I’m trying to be the person who I wish I had met when I walked out of that clinic the first time I was diagnosed and so it’s just something that a new chapter in life is what it turned out to be. So I used my love of learning as a teacher to fight what I call the ‘monster behind the door’ because I learned more about living well with vision loss and that monster grew smaller and less frightening. And of course, the monster is the unknown, the fear of the unknown. And as I learned more about the almost daily development and research that could help me, I started teaching other people and those few desperate souls I found wandering with me around the early Internet back in the mid nineties eventually became an army and there’s thousands of us now so that monster doesn’t stand a chance. Neal: Absolutely. Now you said you’re the person that you wished you had met when you walked out of that clinis when you were first diagnosed, that diagnosis being macular degeneration. Now you’re living with age-related macular degeneration, talk about the differences between age-related macular degeneration and macular degeneration in general. Dan: The macular which is the center of the retina where the detail vision happens is the problem. And we can lose those cells for many, many reasons.It can be a behavioral thing like a too much sunlight in the eyes, lack of nutrition, lots of things can cause macular degeneration and there’s probably about 50 things I could name, they can cause degeneration of those cells. Age, however, is almost definitely going to cause degeneration of those cells and that’s why we call it age-related. Research has shown that if you reach the age of 100, you’re going to have macular degeneration and it’s simply because the eye cells of the retinal pigment epithelium and photoreceptors are not designed to last as long as we do nowadays, that’s why I think a lot of the cases are increasing simply because we’re living longer. Neal: But 48, you were 48 when you were diagnosed right? Dan: I was also diagnosed originally with the central serous retinopathy, which is degeneration of the macular, but it’s from a different pathology. Neal: Okay, so I’m cleared now. You had something that was going on prior but now things have basically taken on what would have happened anyway? Is that what I’m understanding? Dan: Yes. I’m approaching my mid 70s now and anybody’s over age 60 or 65 is going to start showing degeneration of the macular from age, as I said, because we simply are living too long. According to the eye science, the eyes are not designed to live as long as we do. Neal: When we’re talking about these cells that are degenerating in the center, in the macular – what are you seeing? Do you have blurry vision just in the middle? Do you have no vision in the middle? What is it that you’re experiencing and how are you managing now that this master is a lot less formidable? Dan: It starts as blurry usually and the inability to see well in dim light because the cells are beginning to wear out and it eventually will go to the intermediate stage which is where you begin to see distortion. You have symptoms and so curved lines like telephone poles and door frames will appear to be bent, that’s when I first noticed was that happening. And then the next stage which I did advance to is blind spots or Scotomas where you can’t see anything. It’s not a black spot like a lot of the advertising shows, it’s simply nothing. It’s usually just a blank area that’s the same color as the surrounding area. And so you just begin to notice that “Oh, I didn’t see that truck,” which can become dangerous so you give up driving after a while – if you’re smart. And you can’t see centrally, it’s basically what it is so that means you have trouble with detail – reading and seeing people’s faces – those are the two main problems and of course driving. Now it doesn’t mean that you’re blind, you never do get blind from macular degeneration because it’s only the center of your vision. You still have 65% of your vision which is your peripheral, but it’s not very functional. You can see where you’re going, you can fool people into thinking that you can see perfectly until you try to identify somebody and then that’s when the jig is up. Then they find out you can’t see their face and have to ask who they are. Neal: Now you are the founding director of MD Support Incorporated and also the International Macular Degeneration Support Group and obviously your love of teaching as part of the springboard of these groups., What type of support do you offer and who’s eligible for that support? Dan: Everybody is eligible, no matter whether they have macular degeneration or any vision problem. We have branched our over the last 25 years because we all end up in the same place and that’s the fact that we don’t see well and some of us don’t see at all. That’s about 5% of the visually impaired population who are totally blind. We all have to learn the same tricks so I spend my days keeping those folks informed through Internet websites, several publications and email discussion group. We’ve got a telephone support group and a message board and I also supply through the International Low Vision Support Group. We have about 200, well over 200 live support groups around the world and I supply them with monthly online presentations for their meetings and newsletters so that they can be connected to the information and most of us get more easily over the internet. Neal: Now you mentioned earlier in our conversation that you are learning more about new technology almost on a daily basis. Let’s talk about Ellex 2RT®, I understand it’s a laser treatment for macular degeneration. Is this something that you’re using? Is it something that you’re familiar with? Dan: I am familiar with it. I personally have not taken advantage of it and I think possibly because my particular retinal specialist does not use it yet and that’s one thing that Ellex would like to see happen of course, that it becomes more used in the clinics. I appreciate any opportunity to help spread the word about any new treatment protocols especially when it comes to addressing the untreatable at this point, atrophic or dry form of macular degeneration. There are lots of treatments that are being tried and in studies, other complement factor inhibitors, that’s a genetic discharge that I shouldn’t call it a discharge but it is the best thing I could think of at the moment, that actually blocks and inhibits the inflammation that causes about 50% of the cases of macular degeneration. They’ve tried corticosteroids, eye drops and even cell transplantation. They’ve tried statins, everything has been tried because whoever comes up with the answer to this is going to make billions of dollars and that’s a pretty high motivation for the researchers. So the retinal rejuvenation therapy is a brand new idea, well it’s not necessarily a new idea, but this is what Ellex is doing with the 2RT® laser. It’s one of a very few attempts in that field. Their lead trial showed that it was effective in a certain cohort of the A and D population and I think that’s a big step in the right direction. Our community has been swamped with news about wet AMD treatments, so they welcome with open arms anything that might be able to stop the progression of the retinal atrophy that leads to that condition in the first place. Neal: Well it sounds extremely promising and exciting especially for those of us who are on the verge of being in that class of folks who are going to experience AMD. 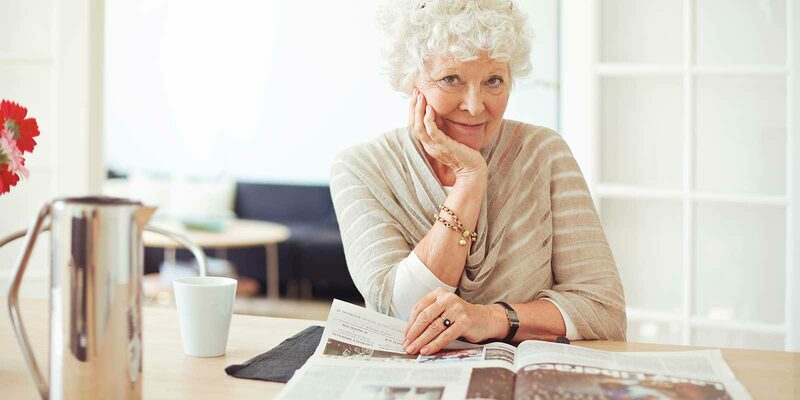 Where can our listeners go online and get some more information about Ellex 2RT® and any of the other treatments that are available or being developed for AMD? Dan: Well I not only have the MD support website for support of people, but for information I’m editor-in-chief for Prevent Blindness, the Association to preventing blindness and there I am the resource director and I have a news blog that I keep people up to date with and that’s the actual source of my newsletters actually and so people can go to that website or they can go directly to mdsupport.org which will take them to that website for information such as the Ellex 2RT®. They can find information there and keep up on the developments in all of the treatments of dry macular degeneration. Neal: Great. Dan, it’s been a pleasure, thank you for joining us on the program today. Dan: Thank you very much Neal, I appreciate you having me here.